There is no one ‘best’ form of bird control. The reason we have several different techniques at our disposal is that they all have diverse applications. A large proofing programme may require us to adopt several different methods to provide comprehensive protection from pest birds. In this blog, we will outline three different problems that can be difficult to overcome without a specific solution. By the end of this article, you should have a better idea of why we utilise different equipment in our bird control programmes. 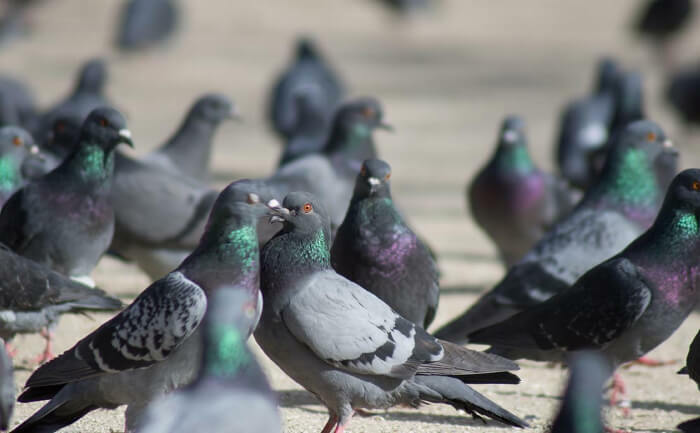 If you are facing bird-related problems on your domestic or commercial property, give us a call today on 0800 808 5615. There are many surfaces which require proofing equipment of precise sizes and shapes in order to protect them adequately. Most proofing methods require a sturdy surface for the apparatus to be attached to. Small surfaces, like CCTV cameras or lighting fixtures, provide a challenge as we are limited in terms of surface area to attach to. Bird spiking offers a solution. This method involves using blunt metal prongs which are mounted on UV-stabilised bases. When birds attempt to land on these prongs, they will feel the uneven surface and become alarmed while remaining unharmed. The birds will then take off and go elsewhere. These UV-stabilised bases can be cut to any length and still be attached firmly through a mix of adhesives and/or screws. In the case of a CCTV camera, we can cut a strip to the length of the camera and attach it using adhesive, protecting the instrument while not damaging the casing or obstructing the view. 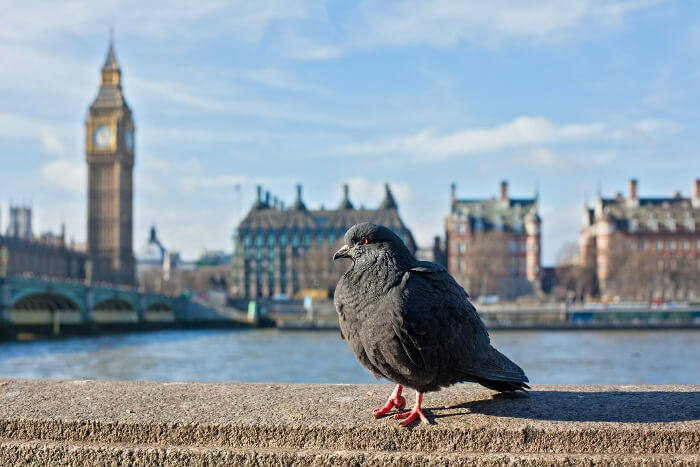 Many of our solutions are used to stop birds from perching on the edge of buildings, but many of these answers are not cost-effective when it comes to protecting a large flat surface area. For example, a massive amount of material would be required to cover the whole area with spiking. However, bird wiring is a solution which is not at all resource-heavy. This method involves attaching a series of posts to a surface and running stainless-steel cable between them. When the birds attempt to land they will feel an uneven surface and quickly fly back into the air. By attaching multiple lines of posts, we can protect the whole area using inexpensive but robust wire. This not only provides effective results which will withstand the elements but does so for much less than if we were to install more expensive equipment throughout. Many buildings with expansive flat roof spaces provide an ideal area for birds to settle and roost. Many solutions could theoretically stop this from happening but would be very expensive to implement and would make it difficult for humans to negotiate (if you needed access to the roof, you wouldn’t want to have to climb over several metres of bird wiring or spiking). Netting, however, provides a practical and affordable method of keeping the birds off the roof. This simple but durable nylon mesh acts as a physical barrier, stopping birds from accessing certain areas. The meshing is affordable and can last upwards of ten years when installed professionally. By covering the entire roof space with this mesh, it means that anyone who needs to access the roof will still be able to do so by working underneath the mesh. However, birds will still be unable to land on the roof’s surface. As you can see, with the endless number of bird problems that we need to address, we need a varied series of techniques in order to provide effective results for all of them. The number of variables that our sales representatives have to consider when carrying out the proofing process means that no one method can address them all. Instead, they will have to come up with a tailor-fit plan to address all of your individual needs and requirements. At Clark Pest Control, we are committed to providing absolute customer satisfaction. To achieve this, we offer a service which balances results, practicality, as well as affordability. Moreover, we are compliant with all of the strict legislation which protects British wildlife. None of the methods we employ will harm birds; they just encourage the birds to move on and find somewhere else to settle away from your property. To speak to one of our operators today about how we can solve your pest problem, give us a call on 0800 808 5615. Alternatively, fill in our contact form, and one of our sales representatives will be in touch as soon as possible.